Do they carry the same vitality as the originals? Probably not, but they do emanate familiar strength of the original. I must admit, I really enjoyed writing about every single one of them. All the prints that saw the light of the day in 2014. Each and every one of them is an exceptional piece of the artwork, with all the necessary ingenuity and creativity embedded in them. Nevertheless, one in particular will always have your silent and ultimate praise! My unconditional affection and admiration goes to Pejac and his Seppuku. An artwork so truly amazing and poignant, its massive and strong sentiment storms through you leaving you deeply moved. Besides the Seppuku, other print releases that have earned their place on this list are works from various authors, also very distinguishable in style and message. One of them that caught my attention is The Mountain made by Joseph Loughborough. His artwork is, in general, something to behold, but this piece occupied me from the moment I laid my eyes on it. It’s dark, involving and uncompromised. The remaining eight pieces definitely deserve more than just few lines written about them but I order to bring them all to you we had to compromise. I hope you will enjoy it as I did! 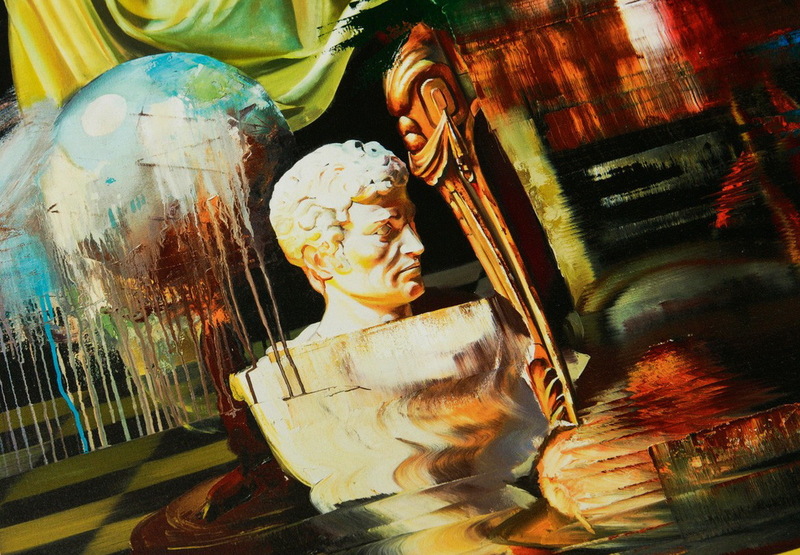 Never miss another print release by your favorite artist – Sign up to My Widewalls. We’ll start with Hugo’s most favorite print release of 2014. Seppuku is an extraordinary work of art created by Spanish street artist Pejac, nobody knew about only two years ago, but who is slowly becoming one of the most respected names on the global street art scene. Single color hand pulled screen print, with hand finished watercolor details, printed on quality Schoellershammer 4G paper was released last May, in order to mark the launch of Pejac’s new website. Limited edition of 70 pieces, priced at €200 quickly sold out, and it is already fetching staggering four-figure prices. 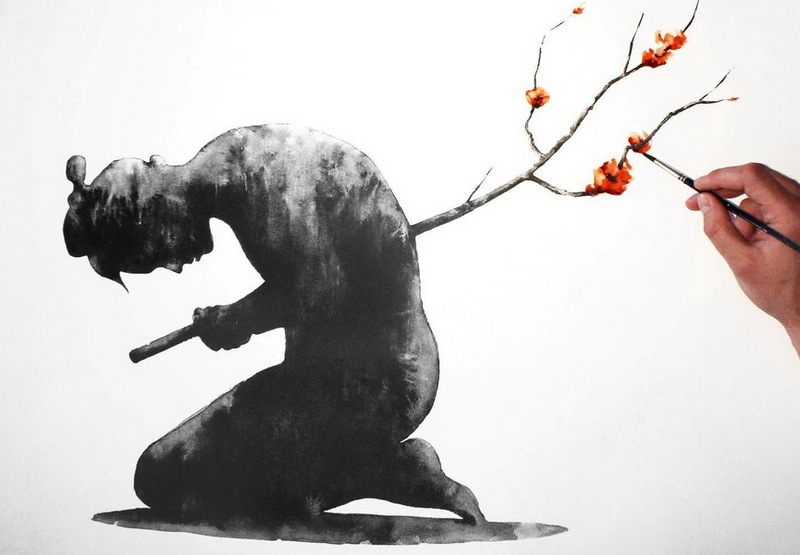 Captivating image of a Samurai performing Seppuku ritual suicide with a Sakura branch in bloom is showing Pejac’s impeccable skill in sending a profound yet sharp message pertaining to the eternal balance between death and life. It is a true masterpiece of urban art and we couldn’t agree with Hugo more. 344 is the latest print release by Ludo, French urban artist extraordinaire, widely recognized for his mesmerizingly beautiful works, often called Nature’s Revenge, which combine different elements of the worlds of nature and technology. 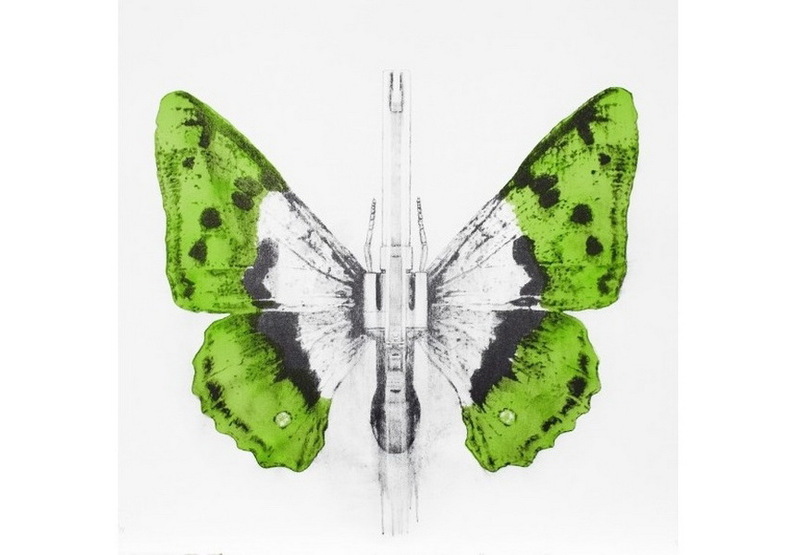 Such is Ludo’s 344 three-color lithograph which shows a hybrid creature, magnum revolver with wings of the butterfly. 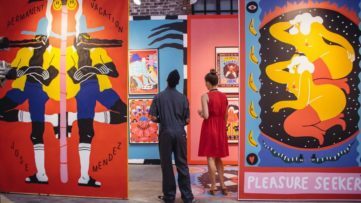 The work is based on Ludo’s original street art piece he created during his travels in the Caribbean, and works he showcased during his The Chaos Theory solo show held at Lazarides Rathbone last October. The print was released last December via Print Them All online art gallery in limited edition off 99 pieces. Highest quality print, 55 x 60 cm in dimensions, is still available for purchase via Print Them All website, priced at £360. 1010 is a German urban artist of great skill and talent, widely recognized for his extraordinary works that trick the mind to appear like holes and three dimensional shapes on walls. 1010’s latest piece in his acclaimed Abyss series titled Abyss 49, is a mind-bending piece which lures its spectators into an exciting world of graphic illusions and vibrant colors. 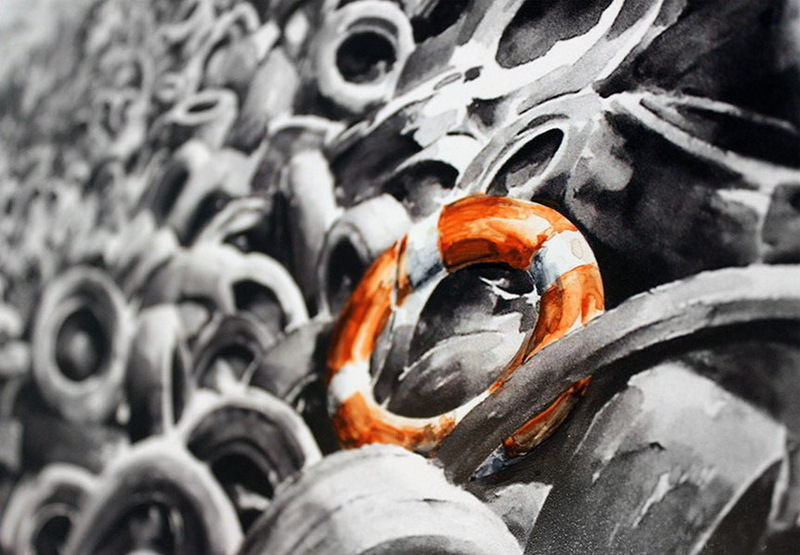 The archival pigment print is a beautiful example of fine urban art, masterfully printed on quality Hahnemühle paper. Limited edition of 66 pieces of Abyss 49 print was released via Urbanshit Gallery last December, priced at €110,10 plus shipping. It is still available for purchase through the German online gallery. 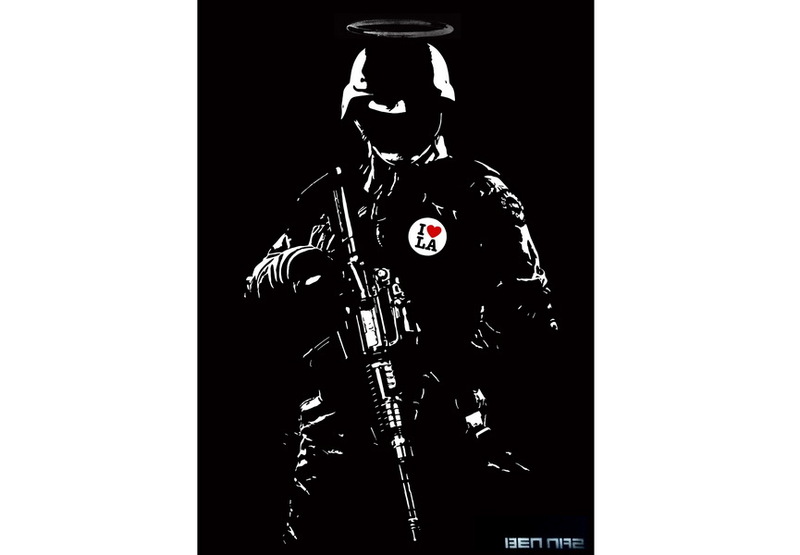 Every print is delivered unframed and with a pair of protective cotton gloves, and a certificate of authenticity singed by both 1010 and Urbanshit Gallery. 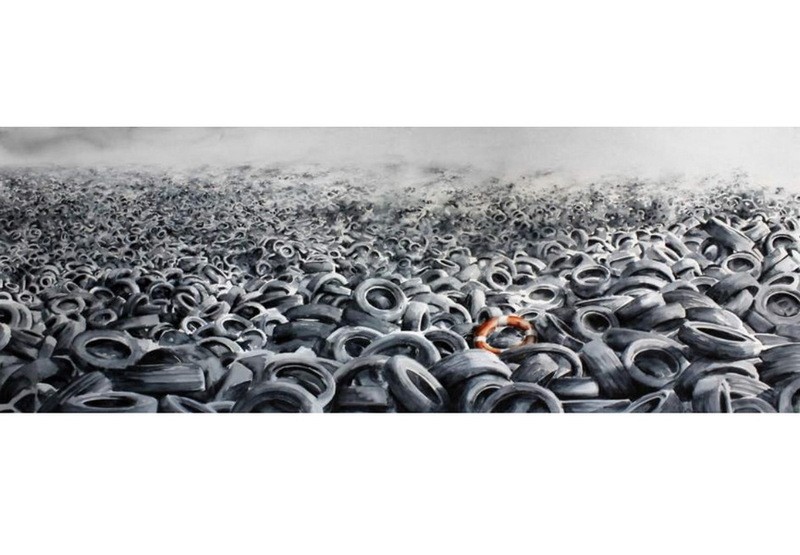 Chen Yingjie, better known as Huan Tunan, is a renowned Chinese artist, core member of the famous EDGE Creative Collective, and one of the leading forces of his country’s painting, illustration and street art. Instantly recognizable for his extraordinary works that fuse together Chinese traditional painting methods and Western-style graffiti, Tunan became widely popular very quickly and has worked with some of the greatest global brands such as Louis Vuitton, Nike, Jaguar, Disney and Lenovo. This winter Tunan released his latest print titled Crouching Tiger, mesmerizing work of pure visual awesomeness, printed on piece of fine art paper. 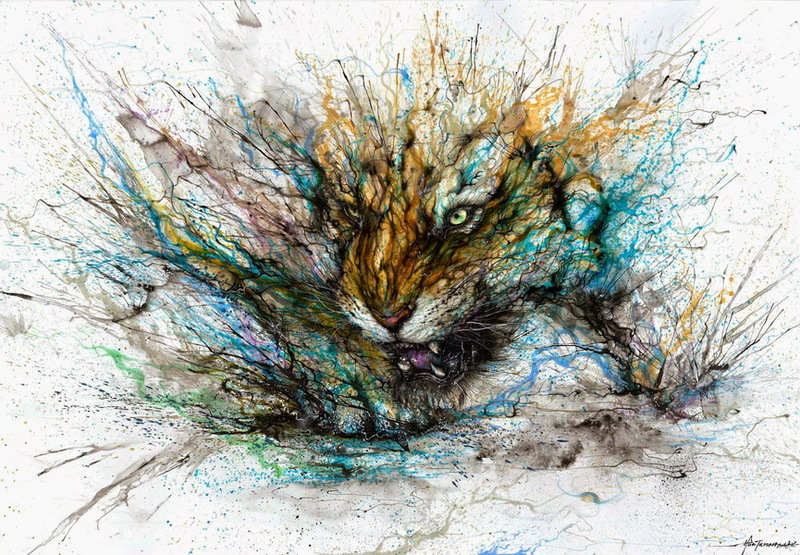 Crouching Tiger was made available for purchase through StreetArtNews online print shop. Limited edition of forty heavily hand painted giclee prints, priced at £210, quickly sold out. The fact that he entered our list twice, tells a lot about Pejac and extraordinary talents he holds in his possession that are quickly gaining him worldwide attention, and we are more than certain, will eventually take him to the very top of the world. 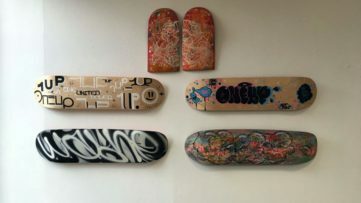 2014 was a great year for him in terms of new work, auction results and his overall significance in the urban art market. Just before Christmas Pejac published another all-round winner, limited edition print titled Heavy Sea, which was released through his new website. Seventy lucky buyers got an unique silk screen print hand finished with watercolor, for an affordable price of 250 euros. Needless to say, Heavy Sea is no longer available for purchase, and next time it shows up it will very possibly go for several times the original price. Joseph Loughborough, extraordinary British artist and illustrator of international renown, was highly prolific during 2014, releasing several print editions, most notably the exceptional piece titled Lore and one of our most favorite 2014 prints, titled The Mountain. Symbolical and visually captivating combination of gold and black color used to create this dark and puzzling portrait, together with Loughborough’s exceptional and rather unique talent, made The Mountain to instantly stand out from the competition and easily enter our yearly recap list. 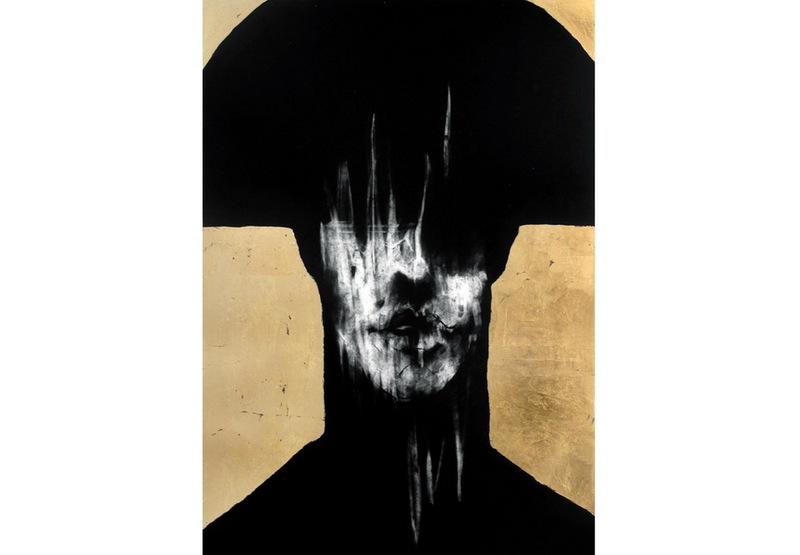 Published in collaboration with Print Them All online art gallery, The Mountain was released as a limited edition of only 15 quality giclee prints with hand finished goldleaf. There are only a few pieces left available at Loughbourogh’s website, priced at £120.00 plus shipping. Contraband 2 was the second edition of the popular and inspiring street art event organized by the renowned Black Apple Gallery. 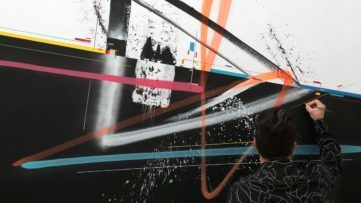 One night only event was held on August 8 at Beverly Hills’ Riviera 31 and it featured live stenciling acts, creating of prints and the presence of artists, including names such as Ben Naz, Pobel, Snik, Ernest Zacharevic, DOT DOT DOT, Chevrier and Otto Schade. 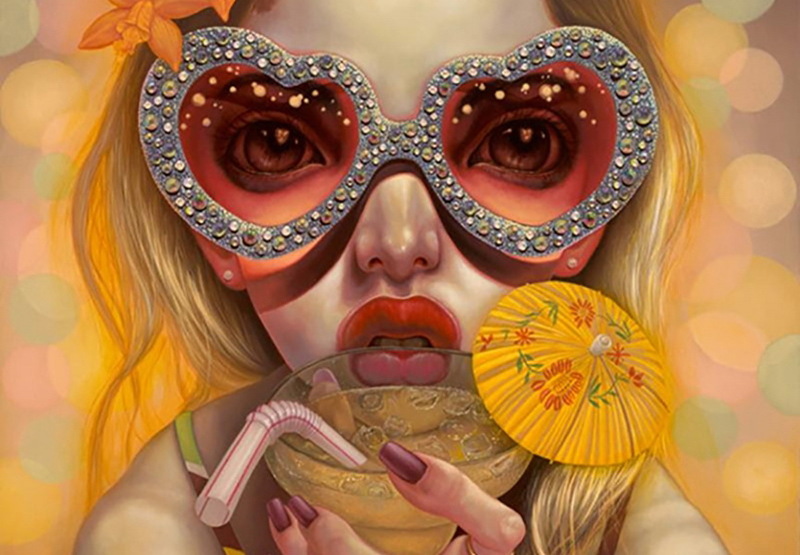 During this extraordinary, trend-setting event, the artists participated in the exclusive print releases, which were available only during the event itself. 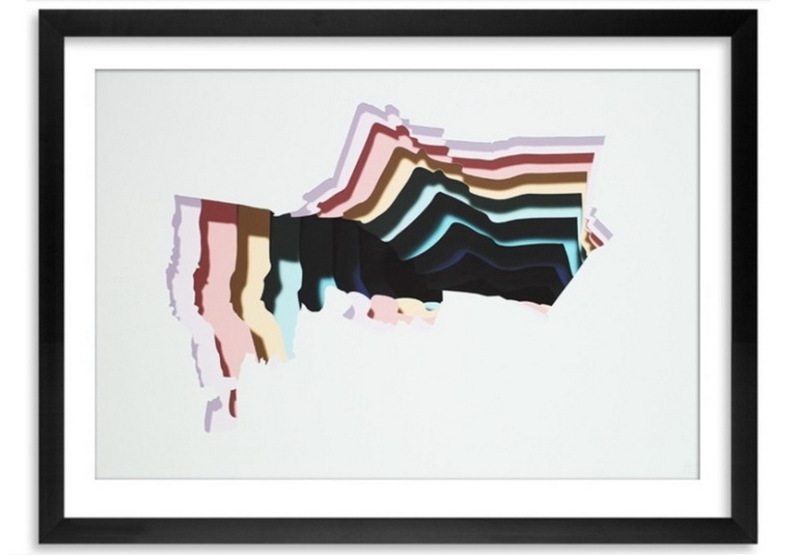 Additionally, the event featured an exclusive print release by Ben Naz titled La Love, which turned out to be one of the greatest print releases we saw in 2014. Limited edition print was created especially for Contraband 2 and it was available in two versions, one hand finished in silver and one in gold. Tilt, modern day king of throw-ups and bubble letters, was one of the most noticed participants of the 2014 edition of renowned Nuart stret art festival. His Stavanger murals simply shined through, even though the list of street artists participating in the festival was more from respectable. 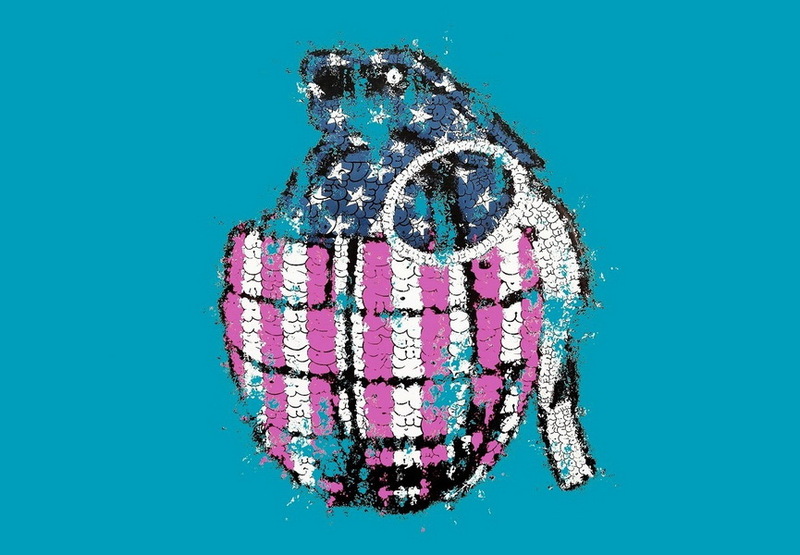 One of the pieces Tilt painted during the festival was his iconic rendering of a hand grenade coated with US flag which consists of bubble letter words. Last summer Tilt presented print version of the famous mural. Bleu Pétrole was published in limited edition of eighty pieces, and it is still available for purchase, priced at £260.00, via Print Them All online gallery. It is a great opportunity to get your hands on one of the most talked about pieces in 2014. 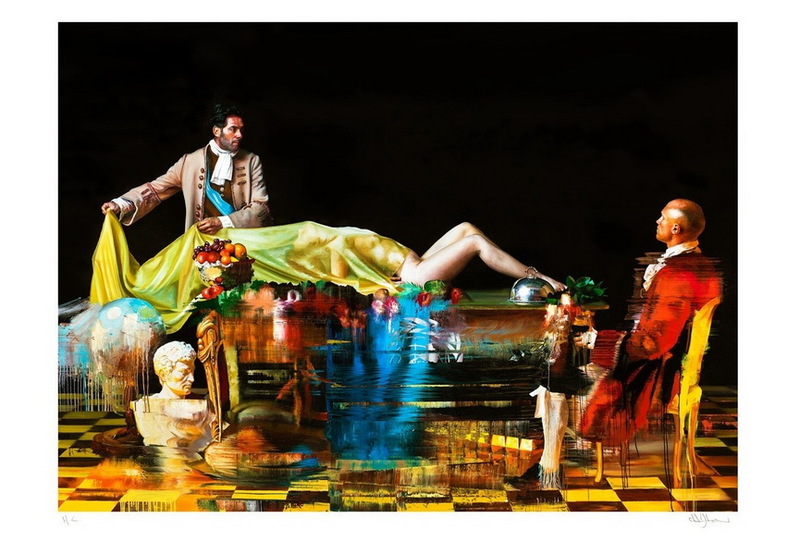 The Unveiling is an exceptional print by Conor Harrington, former Irish graffiti artist who garnered worldwide recognition for his extraordinary large-scale paintings inspired by the works of great old masters, which fuse together different street art motifs and realist figurative painting. The print was published just days ahead of Harrington’s New York City debut solo show titled Eat & Delete. Just as the long-awaited show, The Outsiders gallery print release also created huge stir throughout the art world. The Unveiling was one of the greatest pieces of contemporary art we had a chance to see in 2014, and print release was just a cherry on top of it, presenting a wonderful opportunity for public to get their hands on it. Limited edition of 200 high quality prints was quickly sold out, priced at £250.